His brothers were: Captain Robert Norman Bland (8 Oct 1859 – 30 Mar 1948), John Otway Percy Bland (15 Nov 1863 – 23 Jun 1945), Brig.Gen. Edward Humphrey Bland (3 May 1866 – 15 Feb 1945), Brig.Gen. 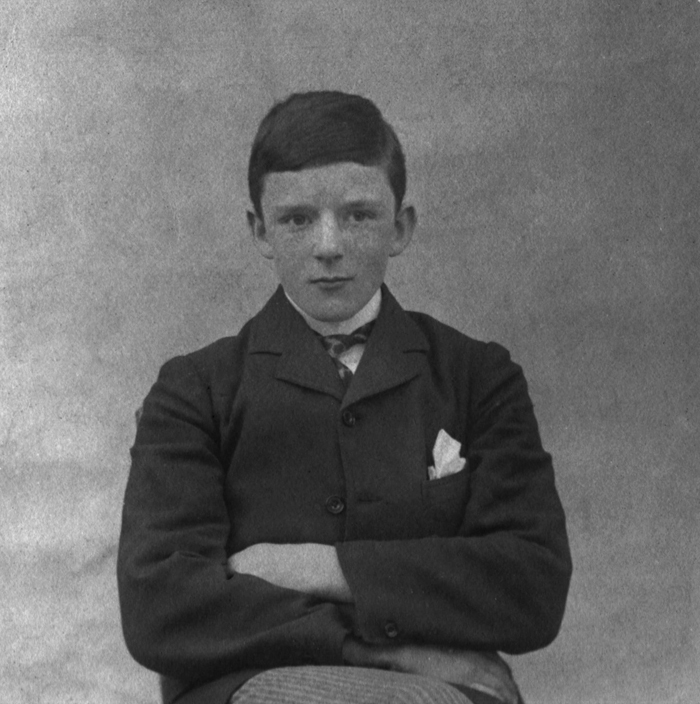 William St. Colum Bland (6 Jun 1868 – 9 Feb 1950) and Thomas Bland (7 Jan 1876 – 15 Aug 1900). 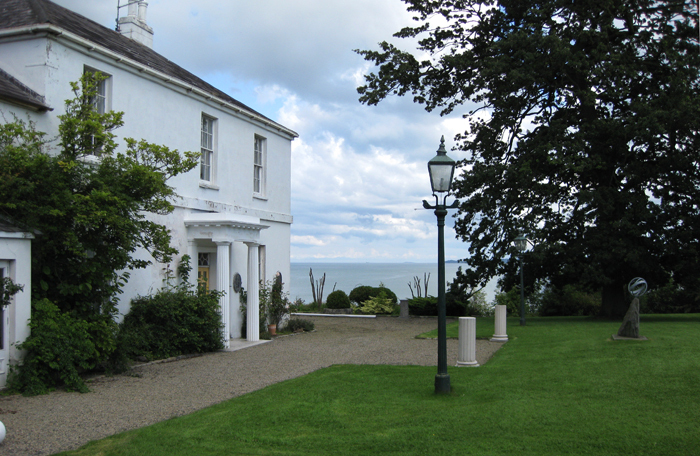 Bland family home in Whiteabbey, Co. Antrim. Special thanks to Dora and Mary for material used in this section. 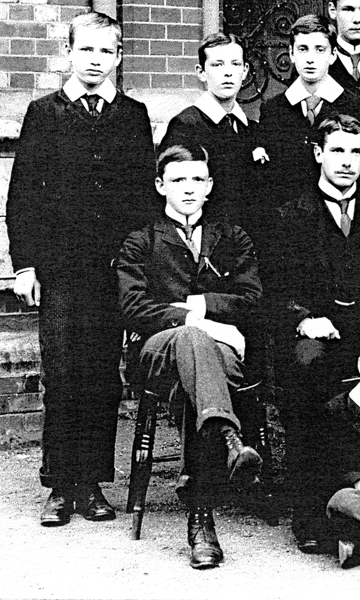 Charles finished college in 1898. The final year was army class and he was among the top students with prizes in maths. 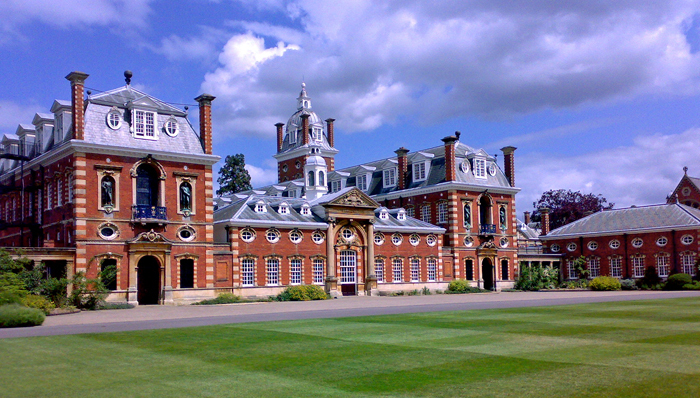 What was life like as a student in Wellington College at that time? “My relations with the headmaster had been intimate in a sense. That term he had set before himself the high design of making me punctual. So to his study every Monday morning at 9.30 a.m. I brought a little note from my form masters. On reading this he rushed about searching for a cane which was never by any chance to hand. A great deal depended on the cane : there was one special sort which grew larger and heavier towards the business end. The moment he found one, he laid on to my back till all was blue, especially my back. When I went to the bathing lake and stripped, I felt as a peacock must feel when spreading his tail ; I became the cynosure and stupor of the crowd. The blues of the previous week had changed to green and yellow, whilst, along the ribs, under my arm, where the point of the cane curled, the stripes were dark purple, — and yet my dislike to early rising was to remain for many years a constitutional infirmity, — and yet I am an admirer of that headmaster! We all were, I think. Benson was human. Wellington College taught me no learning, brought me no fame — that was my own fault ; I preferred saloon pistols and squirrel hunts. 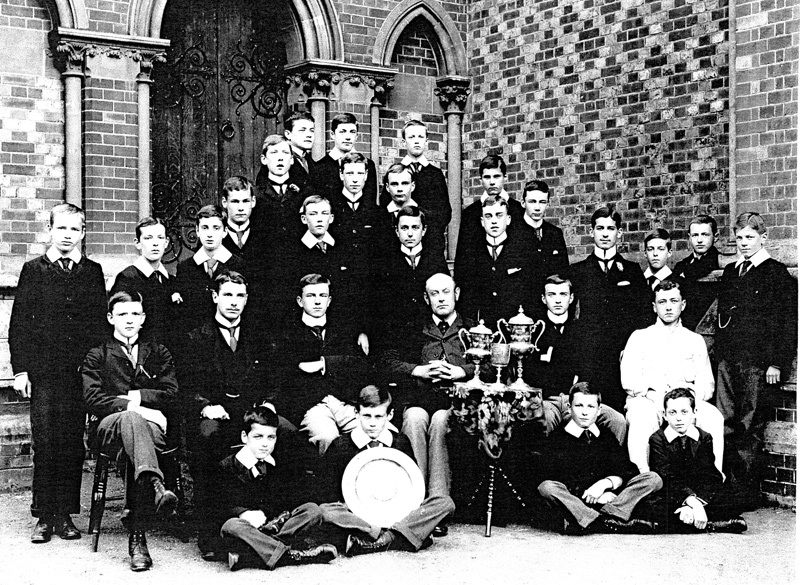 But Wellington taught me to smile whilst I was being thrashed, though the blood surged like hammer strokes through my temples; to eat whatever was chucked at me or go without ; to admire without envy Athletes, Caps, the XI, and even, in a milder way, Prize-winners, and Prefects. He then attended Woolwich Army School and in 1901 he went to Aldershot for Royal Garrison Artillery training and was shortly sent to China as a Lieutenant in command of a company. 1904 Charles was offered work in the British Intelligence Department having made a report on German railway building in China but Charles wanted to leave the army and the letter of acceptance of his resignation arrived in November. 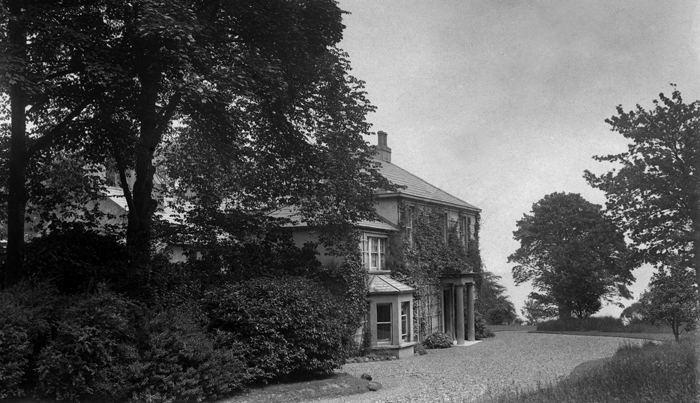 Charles returned to Woodbank planning to go to technical school for training in drafting and arts but the family committed him to an asylum for the insane, their pretext being derangement due to sunstroke in China, but Charles maintained that their real reason was his uncomfortable refusal of military life. He was in the asylum for seven months before his brother John Otway Percy Bland , returning from China, comes to his rescue. Charles is sent on probation to stay with Ross who is a gentleman farmer. He enjoys himself here helping to build a golf course during the day and going with Ross to the theatre in the evenings. John buys Charles a passage to New York city where John’s wife’s (Louisa Nickels Dearborn) family will make him at home. John also arranges for Charles to receive a lieutenant’s disability pension from the war office. In New York Charles worked as a labourer building skyscrapers, then he moved way out West to work for a gold mine in California and worked briefly as a newspaper reporter somewhere along the line. A word here about John. 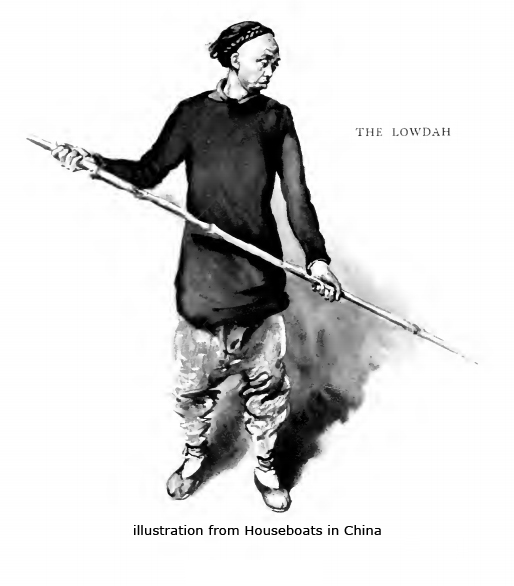 J.O.P.Bland was the author of “Houseboat Days in China” published in 1909, and of other works “Lays of Far Cathay” (1890) “Lays and Relays” (1894) and “Verse and Worse” (1902). 1906 Charles was staying in a hotel on Market Street, San Francisco, at the time of the great earthquake. It started at 12 minutes past five on the morning of Wednesday 18th April. There is no record of Charles’ experience but we can assume that it was similar to John A. Floyd’s account who was staying in the Terminal Hotel on Market Street. “If I have a thousand lifetimes I will never forget that night. Words are too feeble, entirely too inadequate to portray the fear that clutched the human breast. The most graphic pen could not faithfully portray the sickening horror of that night. Plaster falling from the walls in my room on the 4th floor of the Terminal Hotel aroused me from a sound sleep at about 5 o’clock in the morning. I sat up in bed and got out on to the floor. The building was shaking like a reed in a storm, literally rocking like a hammock. It was impossible for me to stand. Another shock threw me heavily to the floor. I remained there for what seemed like hours, then I crawled on my hands and knees to the door and succeeded in unlocking it with much difficulty. I was in my night clothes and without waiting even to pull on a pair of shoes I made my way down the swaying stairs as rapidly as I could. Calamity has fallen upon the great city of San Francisco! Under her feet the earth rose and rocked and fell, only to rise again, and again to fall, leaving ruin, desolation and death in the wake of the temblor. Tuesday, a city bright, beautiful, prosperous and happy. Wednesday, a heap of stones and twisted steel and brick and mortar, with dead bodies in the streets and vultures hovering in the air. But yesterday, a city teeming with joyous life and activity. Today a mass of ruins and open graves and yawning chasms. Not entirely destroyed – no; but her beauty gone; her great blocks and massive buildings lying prone and her glittering minarets and towers collapsed into nothingness. First came the earthquake. A rumbling sound, louder and louder as it ap­proached. Then a roar like the coming of a tornado out of the blackness of night. In another moment the crust of earth swayed like a pendulum, back and forth, and skyscrapers fell like card houses that had been built by boys at play. Instantly arose screams from the injured, the mangled and the dying. Fires ensued and in the grey dawn the fierce blaze and overpowering smoke fell back upon the doomed city. Bells were rung and people ran hither and thither, not knowing where or why. Death was at hand, in the atmosphere, overhead and beneath. Which way to escape? Where was safety? Through the heavy fog and mist of the morning the noise of toppling houses and the crackling sound of burning timbers hushed the shrill cries of those pinioned under steel and stone. Half an hour later another vibration, another upheaval of earth and the scene of terror was renewed. Those tall houses that had withstood the first or second shocks went down at the third. More dead and dying in the streets! Now the city was panic stricken and as the day went on and the vibrations were renewed, men and women fought desperately at the ferry house for passage across the bay to Oakland. Fought like madmen or wild beasts, until the boats ceased running in order to stop the loss of life at the ferry house. Anon came the dull sounds of exploding dynamite, where all the powers of the city government were engaged in a desperate effort to stem the tide of fire and save the city from utter destruction. Fiends began to loot the bodies of the dead, and were shot down by police and the guards. Rescuers exhausted themselves in frenzied efforts to pull human bodies from under the debris of falling buildings and were themselves buried in the black­ened ruins. So the day passed – as the telegraph reports – and the night approached. By this time the fires engendered by the seismic upheavals were beyond all control and as the sun sank blood red in the sea, a fierce gale arose that pushed the flames farther and farther back into the city. Then darkness came. And with it haunting fears and gruesome sights and dangers unknown and beyond description. All the city fled. Out into the hills and highways and byways went a vast army of men, women and children – more frightened, and with more reason, than went a similar army out of Chicago thirty-four years ago. Into the darkness of the night, pausing not once to look behind at the great wall or fire that threw frowning shadows in advance of them, passed this army of human beings, all in a mad race for safety – going they knew not where. Around this time Charles asks his brother John for a loan to buy a ranch or farm in California. John agrees to the loan but asks him to get up under the British flag first. 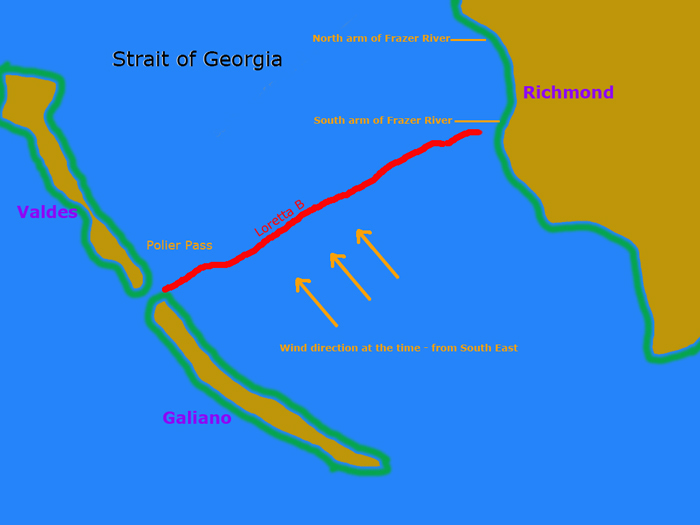 ( This must refer to Canada ) Charles met another person who was interested in going to British Columbia’s Skeena country, but later his companion changes his mind. 1909 Worked with trapper/prospector Gus Lindeman through a winter at Klashkish Lagoon. 1910 John Bland in China lends Charles one hundred pounds for land purchase. 1911 Johnson River Crown Grant is purchased from surveyor Brown. (purchase not completed for several years) Crown grants are the legal instrument by which Crown lands are transferred to a purchaser. 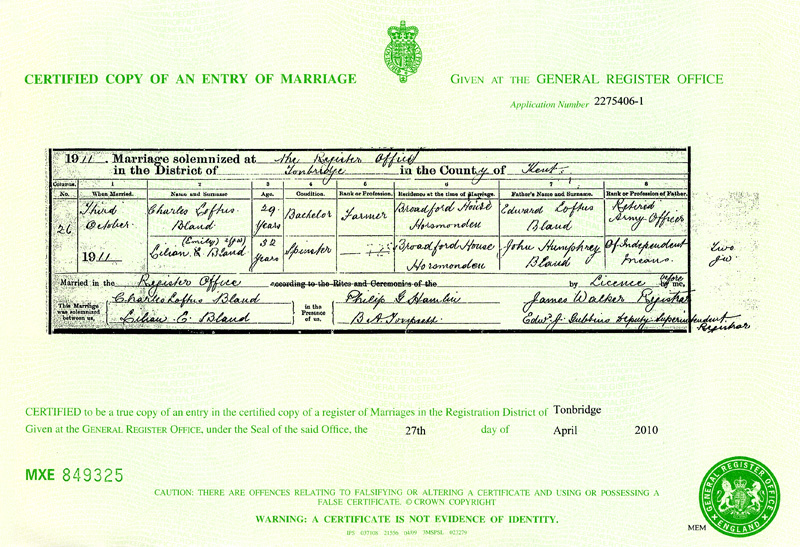 On the 3rd of October, during a short trip back to Ireland, Charles travels with his cousin Lilian to Tonbridge in Kent, to get married, by licence, in the register office. 1913 Homestead house is finished. 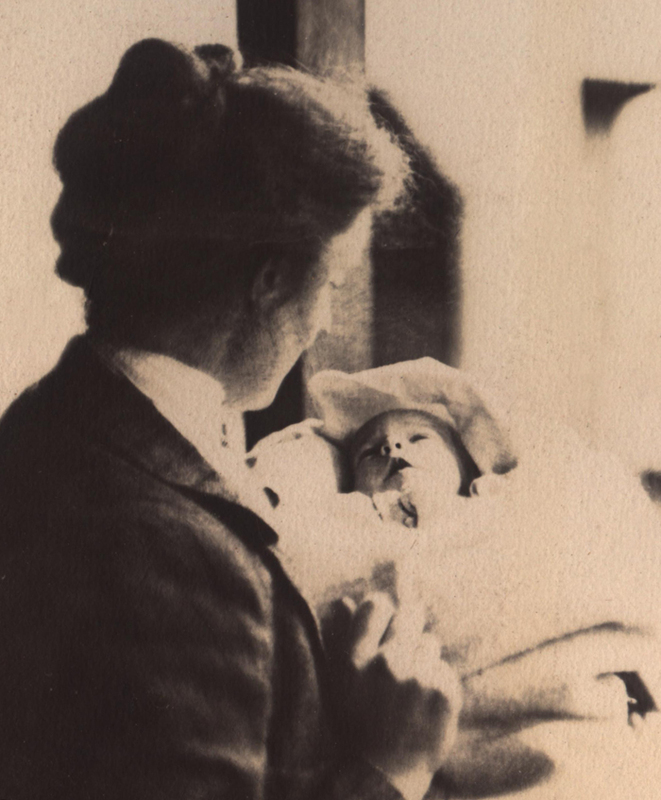 On 13th April their daughter Patricia is born. 1914-1916 John Bland acknowledges by letter that he has received full repayment of the one hundred pound loan from Charles. John Humphrey Bland leaves a legacy to his daughter Lilian. The East side of the homestead’s Crown Grant land is sold. 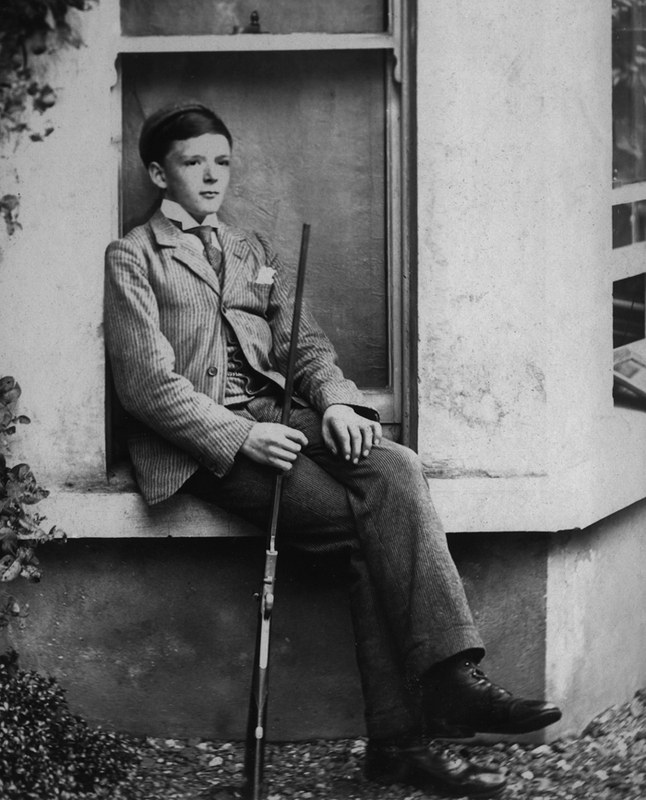 Head of house – Charles Loftus Bland. 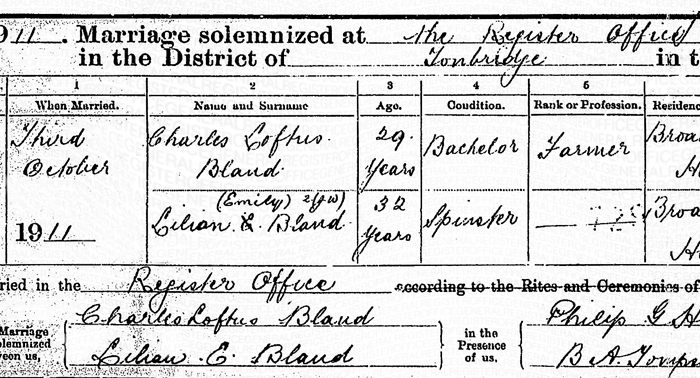 Wife – Lilian Emily Bland. 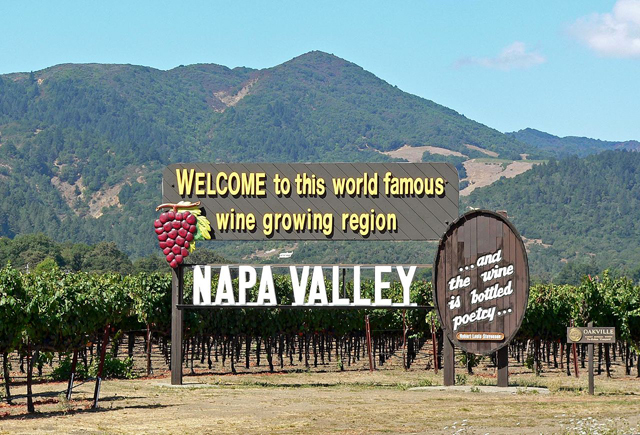 Later that year the Bland family of Quatsino moves to Napa County in California where they have a prune orchard in the Napa Valley. 1925 Bland family returns to Quatsino. 1927 Doug Farquharson comes as an appentice to the farm in Quatsino. 1929 This was a tragic year for the Bland family. 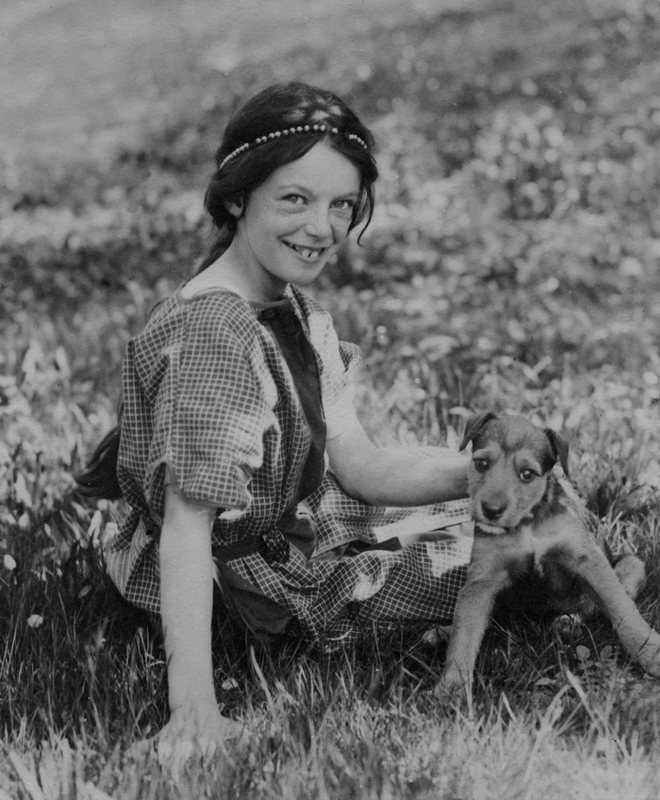 In September their daughter Patricia, now sixteen, died from a tetanus infection. Any family who has experienced such a loss will know the kind of devastation it brings. There is a real feeling that things will never be the same again. 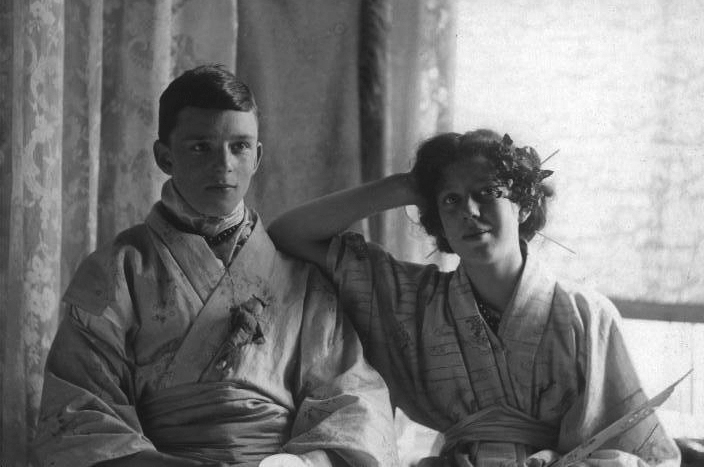 Over the following years the marriage got into difficulties and finally Charles and Lilian went their separate ways. Lilian left Canada and moved to England. Lilian Emily Bland died on 11th May 1971, aged 92, and is buried in Sennen cemetery, Cornwall, England. 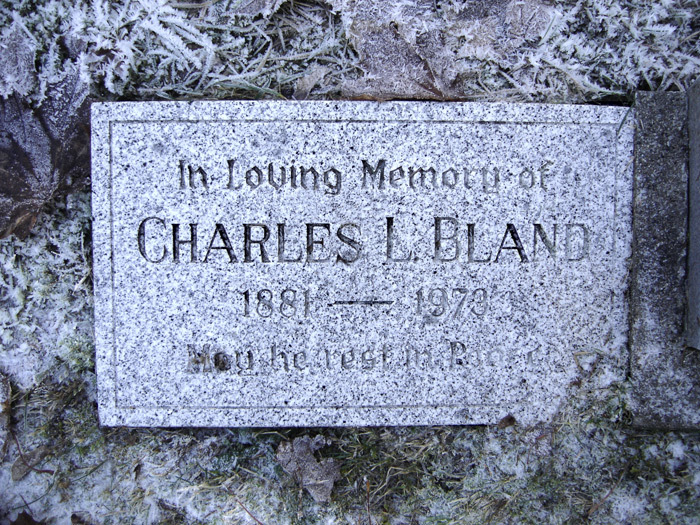 Charles Loftus Bland died on 6th January 1973, aged 91, and is buried in Quatsino cemetery, Quatsino, Mount Waddington Regional District, British Columbia, Canada. The following notice appeared in the North Island Gazette – January 18, 1973. “Death has claimed one of the area’s oldest resident’s. He was Charles Loftus Bland, who came in 1909 and settled at the mouth of Johnson River, on the south side of Quatsino Sound. The late Mr. Bland who was 91 years of age, had served as a lieutenant in the British Army during the Chinese Boxer Rebellion in 1900. Funeral services were conducted on January 10th by Rev. Charles Lomas, and interment took place in the Quatsino cemetery. The Blands had another son Jackie who was a commercial fisherman. 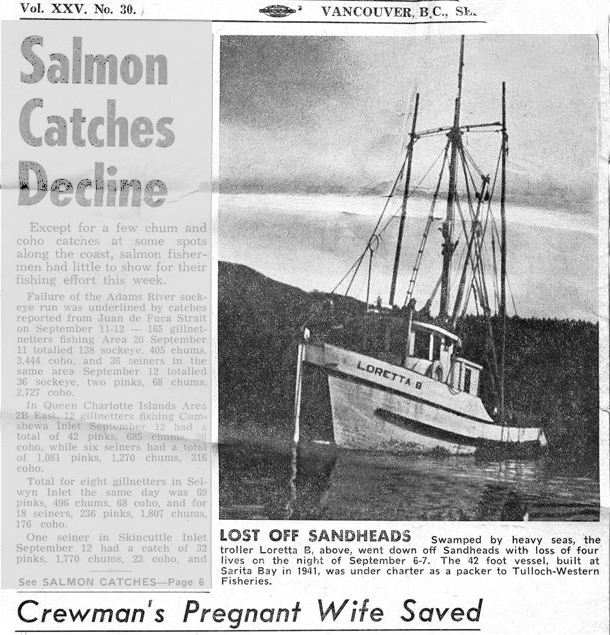 Jackie drowned when his fishing boat ‘Loretta B’ capsized near Richmond on the Fraser River in September 1962. The ‘M.V.Loretta B’ had loaded a cargo of salmon from the Tulloch-Western Fisheries camp at Porlier Pass between Valdes and Galiano Islands , and was enroute across the Strait of Georgia to Vancouver when it got into difficulties off Sandheads which is at the entrance to South arm of the Fraser River, southwest of Richmond. When they are navigating in salt water the boats have more bouyancy, (as salt water has more bouyancy than freshwater) and when they start to enter the Frazer River the water becomes mostly fresh water without the bouyancy which the salt gives them and they flood with water and either capsize or just sink. This is still a problem to this day, and many people have lost their lives, being somewhat careless in this fashion, and many are seasoned mariners, with years of fishing/packing marine navigation under their belts. Now if you consider the weather, and the loss of bouyancy as the ‘Loretta B’ starts to enter into mostly fresh water off the mouth of the South arm of the Frazer River, the tragedy is very understandable. But, because the lack of information on the exact location of the vessel when tragedy struck, we can only use logic to try and figure out exactly why the vessel floundered. Whether or not it was a bouyancy problem, or hull failure, with the ‘Loretta B’, we will never know. 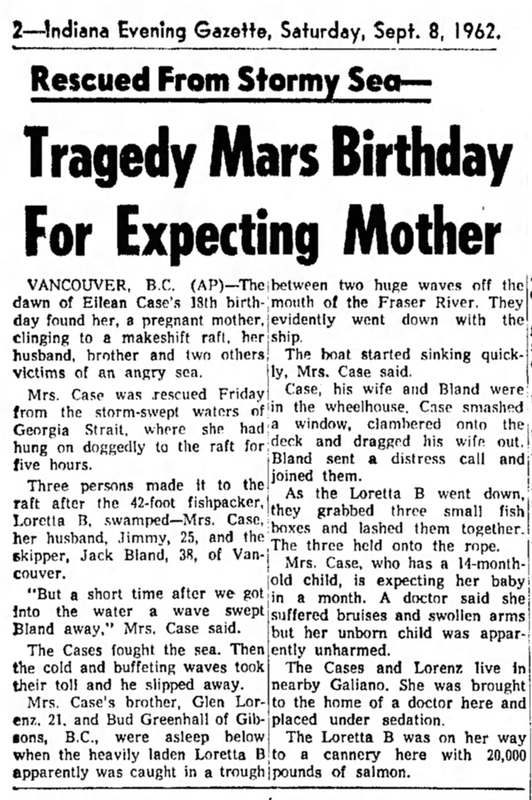 Swamped by heavy seas, the troller ‘Loretta B’ went down off Sandheads with loss of four lives on the night of September 6 – 7 (1962). The 42 foot (12.8m) vessel, built at Sarita Bay in 1941, was under charter as a packer to Tulloch-Western Fisheries. 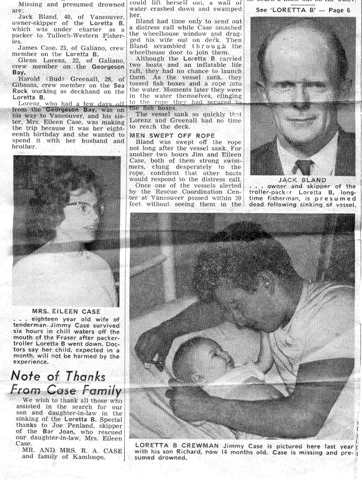 On the eve of her 18th birthday – Sept. 7, 1962 – Eileen Lorenz joined her husband and brother on the ‘Loretta B’ as it headed into the gulf, only to encounter a storm. The ‘Loretta B’ keeled under a violent westerly blow, tossing four men and Eileen into the dark sea. Tied to fish crates, Eileen was set afloat, but the men surrendered to the ocean, their bodies never to be found. After six hours in the eye of a storm, Eileen was plucked from the water. Jack Bland, 40, of Vancouver, owner-skipper of the ‘Loretta B’ which was under charter as a packer to Tulloch-Western Fisheries. Lorenz who had a few days off from the ‘Georgeson Bay’, was on his way to Vancouver, and his sister Mrs Eileen Case, was making the trip because it was her 18th birthday and she wanted to spend it with her husband and brother. Mrs Eileen Case, eighteen year old wife of tenderman Jimmy Case survived six hours in chill waters off the mouth of the Fraser after packer troller ‘Loretta B’ went down. Doctors say that her child, expected in a month, will not be harmed by the experience. Bland had time only to send out a distress call while Case smashed the wheelhouse window and dragged his wife out on deck. Then Bland scrambled through the wheelhouse door to join them. Although the ‘Loretta B’ carried two boats and an inflatable liferaft, they had no chance to launch them. As the vessel sank they tossed fish boxes and a rope into the water. Moments later they were in the water themselves, clinging to the rope they had secured to the fishboxes. The vessel sank so quickly that Lorenz and Greenall had no time to reach the deck. 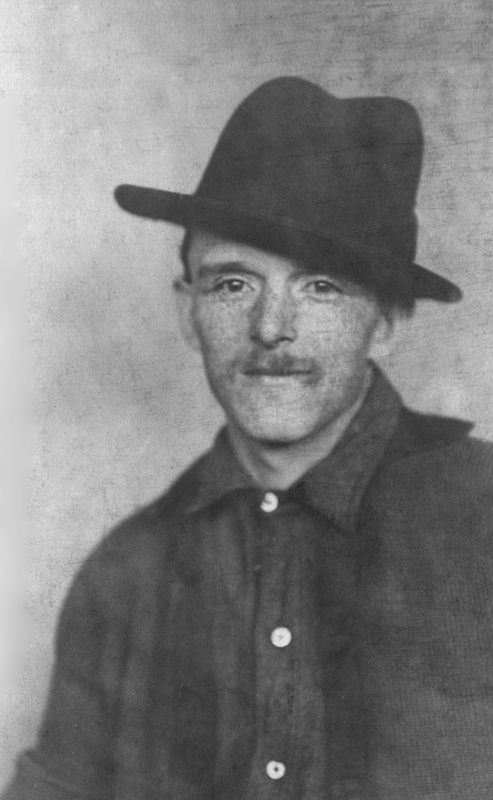 Bland was swept off the rope not long after the vessel sank. For another two hours Jim and Eileen Case, both of them strong swimmers, clung desperately to the rope, confident that other boats would respond to the distress call. Mr and Mrs R.A.Case and family of Kamloops. A teen-aged mother expecting a baby in a month clung to a makeshift raft for five hours after seeing her husband and three other men swept away by stormy seas. Mrs Jimmy Case, 18, of nearby Galiano Island was hauled aboard a fishing boat early Friday after she was spotted hanging on to three wooden crates lashed together. An air and sea search continued for Jimmy Case, 25, of Galiano, Jack Bland, 38, of Vancouver, Glen Lorenz of Galiano and Bud Greenhall of nearby Gibsons. 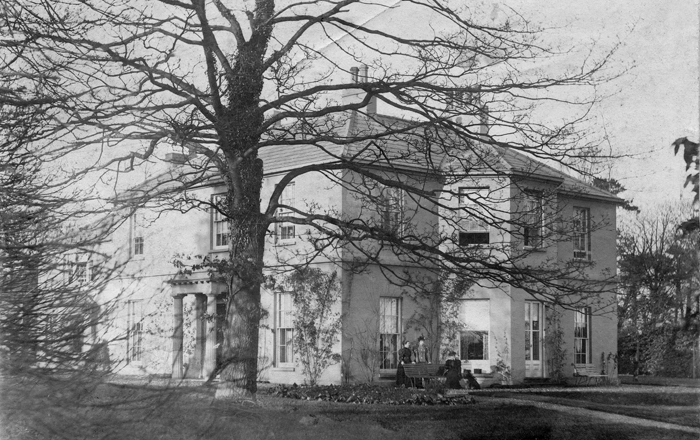 Mrs Case was reported in reasonably good condition at a hospital here. Doctors said she suffered mild shock and exposure, but her unborn baby appeared uninjured. She has one other child. The 42 foot (12.8m) fishpacker ‘Loretta B’ went down in rough seas off the mouth of the Fraser River Thursday night. Mrs Case said she was in the wheelhouse with her husband and Bland, the skipper. The other two men were asleep below. 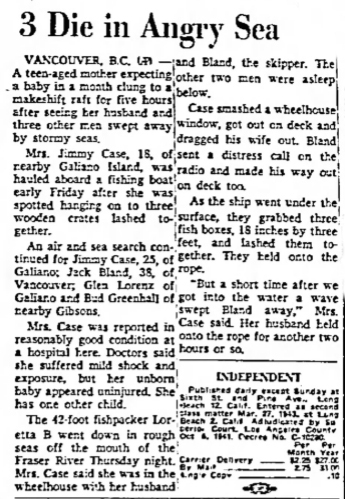 (Jimmy) Case smashed a wheelhouse window, got out on deck and dragged his wife out. Bland sent a distress call on the radio and made his way out too. As the ship went under the surface, they grabbed three fish boxes, 18 inches by three feet (46cm x 91cm), and lashed them together. They held on to the rope. 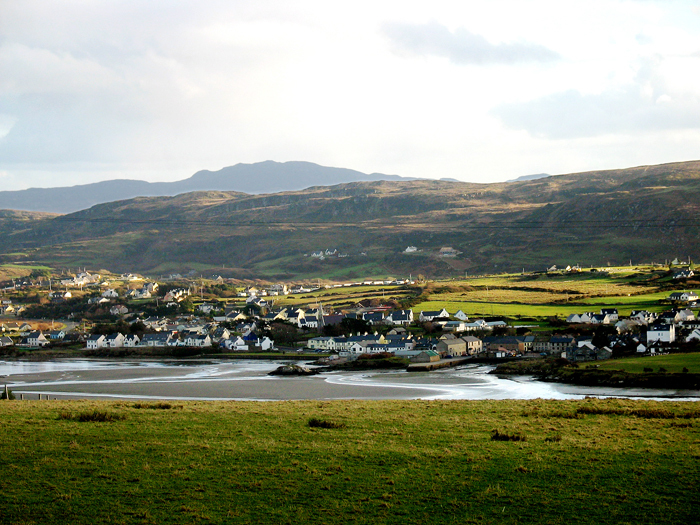 “But a short time after we got into the water, a wave swept Bland away,” Mrs Case said. Her husband held on to the rope for another two hours or so. Notice to Creditors – North Island Gazette – April 26, 1973.